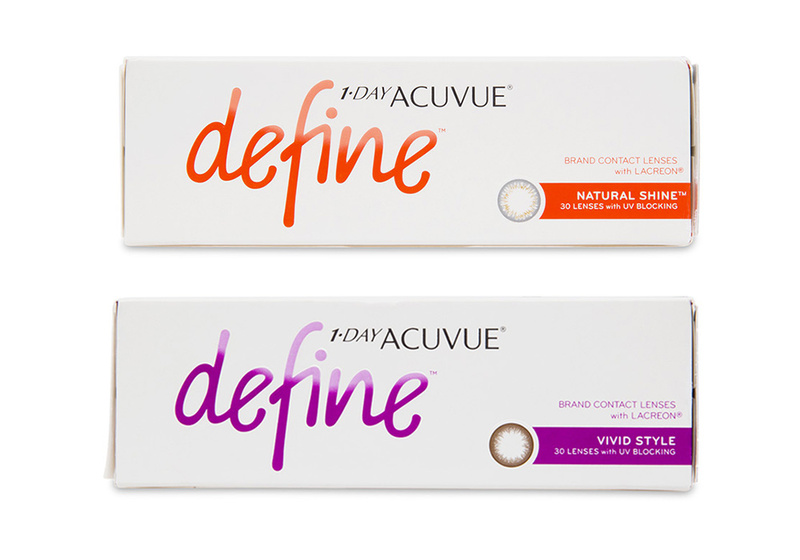 If you’re prescribed to wear 1-Day Acuvue Moist you can also wear 1-Day Acuvue Define. The 1 Day Acuvue Moist lenses from Johnson & Johnson offer all the convenience and benefits of a daily disposable contact lens combined with a unique moisture cushion which keeps your eyes free from irritation all day long. Featuring Johnson & Johnson’s exclusive LACREON Technology, the 1 Day Acuvue Moist lenses have a special wetting agent designed to simulate the moisture of your natural tears, these lenses are designed to reduce friction and promote comfort that lasts all day. The lenses are also highly breathable, allowing up to 88% of oxygen to reach the eye. Additionally, these lenses offer exceptional UV protection, blocking more than 80% of harmful UVA and 97% of UV-B rays.